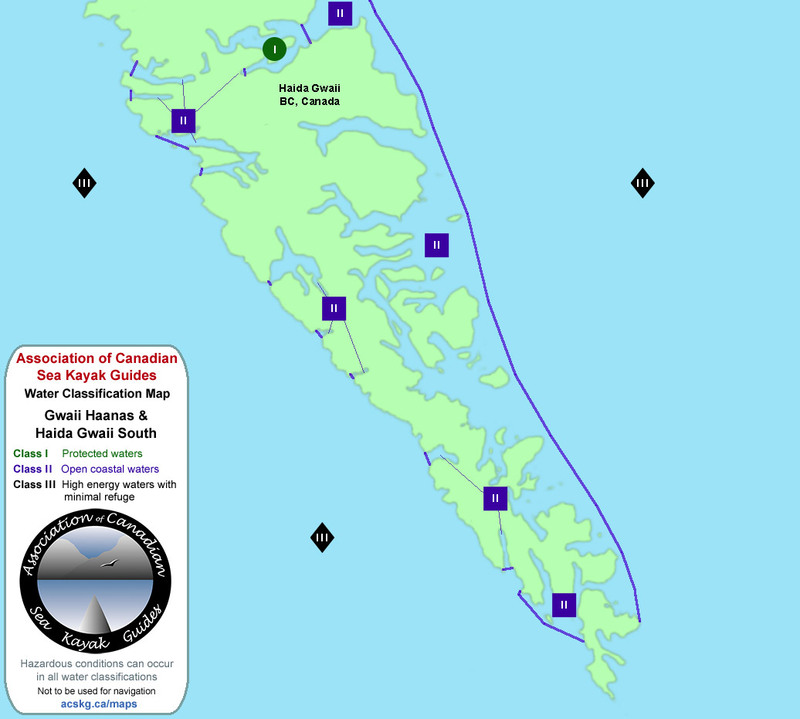 Small areas of Class I and II waters exist within sheltered bays and inlets on Haida Gwaii. Some of these areas are too small to effectively identify on this map. ACSKG certified guides can request the Association to create a classification map for any coastal water.